A very popular venue, Orton Hall Hotel is off the A605 Oundle Road opposite the Nene Park entrance to Orton Mere. 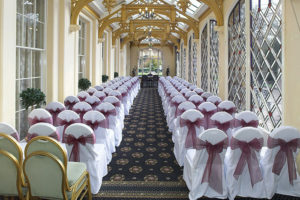 Civil wedding services are held in the superb conservatory at the rear of the hotel. 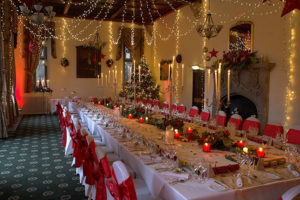 The room offers fantastic lighting and is always immaculately decorated for the big day and with spectacular grounds providing the perfect setting for post service relaxation and drinks, there really is little or nothing to fault this venue ! 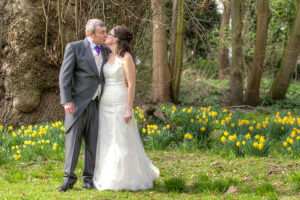 Photography – easily the best venue photographically in Peterborough with the well-lit conservatory, large patio area, spacious grassland and woods which are carpeted in snowdrops and bluebells if you time it right. Indoors or outdoors, sun or rain, a great photographic shoot is guaranteed ! Check out a more detailed review at the Orton Hall Wedding Photographer.